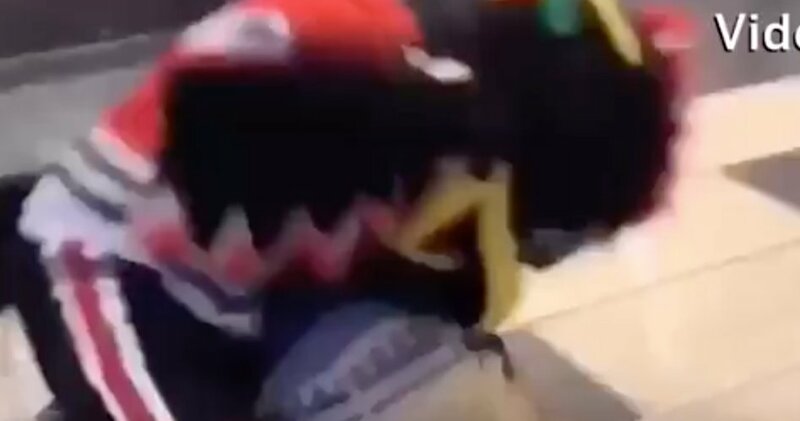 On Friday, things got pretty real for Tommy Hawk, the mascot for the Chicago Blackhawks, after the person inside the costume found themselves being attacked and retaliating with a body slam. The incident took place following Chicago’s 4-3 overtime loss to the Winnipeg Jets. According to Madeline Kenney of the Chicago Sun-Times, the fan started the incident and Chicago Police have been notified of the disturbance after the man allegedly began punching the mascot and put him in a headlock. “We are gathering the facts and will have no further comment at this time, pending our investigation,” a Blackhawks spokesperson stated.